Special note: As I write and publish this particular blog I want to be clear that it is not intended to be a political commentary or an endorsement of one party’s particular politics. It is intended to be a comment on the forces that are influencing the way in which doctors must practice medicine in the US today. The practice of medicine has always been more of an art than a science. The great physicians of the past such as Sir William Osler and his contemporaries understood the importance of the history and physical exam. These great diagnosticians talked to their patients and listened intently as the “story” of a particular disease process unfolded before them. This week, I read an essay by Dr Bill Frist published in The Week magazine. Dr Frist describes his experiences as Senate majority leader as it related to discussions of healthcare reform. I was not surprised to learn that most of the discussions about healthcare policy and reform involved politicians, academics, regulators and lobbyists. The professionals affected most–practicing physicians in the trenches who care for patients every single day– were not even at the table. In the article, Dr Frist interviews his own Internist and asks about how healthcare reform decisions affect his ability to practice medicine. A busy Internist may care for thousands of patients. Instead of getting to know their patients on a personal level and listening to the “story” unfold in the office visit, physicians are now pecking away at a computer and checking boxes during the allotted 15 minutes. Often, government regulations require that certain questions be asked and documented in the EMR even if they have no relevance to the patient visit. EMR use is important and has many benefits but the computer now can be a barrier between doctor and patient in the exam room. The art of taking a history is to allow the patient to talk and guide discussion. Many times, facts that are critical to accurate diagnosis can be found when the patient is able to tell his “story”. When clicking required boxes on an EMR, the physician may unwittingly force the discussion and miss key components. Rather than being allowed to speak freely during the visit, the patient may be simply interrogated by the physician at the hands of the EMR and its boxes that must be checked. Proponents of healthcare reform will argue that regulation will reduce waste and abuse. In fact regulation and increased demands on providers are beginning to have just the opposite effect–more unnecessary paperwork and “box checking” leads to less time actually caring for the patient. With the expansion of healthcare, physicians are asked to care for larger patient loads with less time and with more regulatory red tape. Again, this leads to less time for listening to the “story” each patient so badly needs to tell. Moreover, physician burnout and depression are becoming more commonplace. Increased workload, increased unnecessary and redundant paperwork (even if electronic), decreased reimbursement and ever decreasing quality time with patients significantly contributes to feelings of diminished satisfaction at work. Recently, a blog on physician burnout published in the New York Times addressed these very issues. As Dr Frist so clearly points out, checking boxes to meet quality care measures is not what improves care. Compassionate, thoughtful and scientific analysis of a patient’s “story” leads to accurate diagnosis and treatment. Treatments based on the best available data produce the best possible outcomes. 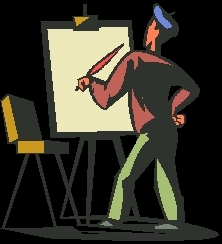 Physicians must continue to blend art and science in order to make rationale treatment plans individualized to each particular patient. As Dr Frist mentions this cannot be accomplished by “mindlessly checking boxes”. Clinical trials and data certainly should guide the way in which medicine is practiced. However, in medicine there are no “absolutes”. In training many physicians were taught to never say “never or always”–we must remember that today as well. Data guides practice and evidence guides decision making but clinical judgement–not “box checking” is what makes good physicians great. Healthcare in the US is in transition. All of us agree that the system does not work well in its current form. Politicians, lobbyists, regulators and academics have shaped the path of reform thus far. Physicians must be involved in the planning of the future healthcare system in the US. Although quality of care for our patients is paramount, physicians must be allowed to practice with both the art and science of medicine. Paperwork, performance measures and “box checking” are beginning to separate patient from physician. We must return the focus to our patients–we must listen to “story” that unfolds in the exam room in order to improve outcomes and impact disease. How many times a during the day do you unconsciously reach down and grab your smartphone from your belt? If I make an honest assessment of my own smartphone use throughout the day, I find myself grasping my phone quite frequently–sometimes in response to “false” vibration alerts and sometimes just out of habit quite similar to the learned behaviors of Pavlov’s dogs. I guess that my obsessive-complusive (OCD) side probably promotes and really enjoys the repetitive checking behavior. I reach for my iPhone while standing in line, while waiting to order a cappuccino, while walking down the street or at any other time when I am not actively engaged in some activity that precludes smartphone access. Recently the New York Times published an article about unplugging from our smartphones. In the piece, Jenna Wortham relates her experience with being forced to leave her smartphone behind while enjoying an afternoon at the pool. For Ms Wortham, the experience was quite liberating. After reading, I began to think about my own mobile-connectivity behaviors as well of those of my family and colleagues. According to Neilson, smartphones are used by 50.4% of Americans and for an average user with an average data plan may cost $1200 dollars annually. In less than one year smartphone use has increased by 11%. The number of Americans with no cell phone of any kind has plummeted to an amazing 12% as of February 2012. This data is staggering. More than ever our society is plugged in and connected–day to day, hour to hour, minute to minute. Events (both newsworthy and not so newsworthy) are chronicled on social media sites such as Facebook and Twitter. Access to real time information has many positive and practical uses such as communication during natural disasters, managing travel, and alerting family of important events. However, as Ms Wortham points out, there is a downside to always being connected. A study from the British Psychological Society demonstrated that many smartphone users are so obsessed with staying connected that they actually experience phantom vibration alerts. In this study, the investigators found that patients who experienced phantom vibrations were more likely to be highly stressed and most of these had their smartphones supplied by their employers. There is certainly value to connectivity, but there is also great value in falling “off the grid” from time to time. As Ms Wortham described, her day at the pool was initially met with separation anxiety from her phone. However, she began to feel liberated by the separation and started to work “unplugged” time into her daily routine. I believe that we can all learn from her experience. Although technology is essential, we are still human beings and must continue to interact in human and personal ways. We must re-learn how to weave in old-fashioned conversation to both family and personal time. Stress and work related pressures definately promote smartphone obsession. We must strive to take control of our technology habits and “unplug” at some point in every day. Unplugging may allow one to participate in more physical activity or exercise, may improve family relationships and may provide a much needed mental break. Although anxiety provoking, I also believe that it is critical to unplug when on vacation. Although I have not yet succeeded at this yet, I am improving–during a 7 day vacation this month, I checked my email only 3 times. I found that by turning my phone off and locking it in the in-room safe, I was able to control a lot of my pathologic phone-checking behaviors. I felt more relaxed. I didn’t worry about what was going on at work simply because I didn’t really know–sometimes ignorance is truly bliss. Our children learn from our adult behaviors and clearly mimic what they see. I briefly chuckled last friday night when my daughter had a school pal over for a sleepover. Instead of talking at dinner they began to text one another (mind you, while sitting at the same table eating pizza!) After thinking about it, I began to wonder what might happen to the next generation if we do not teach them how to manage technology use. Will there be no more conversation? Will social visits filled with laughter and stories from the past only be chronicled in YouTube videos and online blogs? We must set a better example of technology management for our colleagues and for our families. Embracing technology is critical to success in business, in medicine and in our daily lives. However, we must manage technology responsibly and not allow connectivity to obviate the need for human interaction. Unplug today. Take a deep breath. 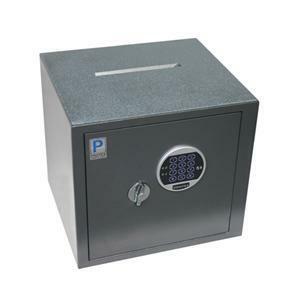 Lock your smartphone in the safe for an hour and fall off the grid (if only for a little while). Cardiovascular events can have far reaching impacts. Certainly the patients having the events are clearly affected in a life-changing way. Patients are prescribed new medicines, are asked to make lifestyle changes and alter work and exercise habits. However, families and loved ones are also greatly affected when cardiovascular disease strikes a spouse. Most often, the focus is on the patient suffering the event and the spouse is left to worry and deal with fear and other emotions on their own. Much has been written in the past about the effects of the death of a spouse on the emotional well being of the surviving family members. As recently as this year, a study in Circulation examined the risk of death and MI in individuals following the death of a spouse or loved one. These investigators found a significant increased risk (21 fold) of myocardial infarction (MI or heart attack) in the surviving spouse in the first 24 hours following the death during periods of intense grief. To date, no one has directly examined the impact of specific cardiovascular events such as MI on the emotional well being of loved ones. This week the European Heart Journal published an interesting study on the effects that heart attacks (myocardial infarction or MI) have on the emotional well being of spouses of patients. The investigation evaluated over 16,000 spouses of patients suffering both fatal and non-fatal MI over an 11 year period. Spouses of patients who suffered either fatal or non-fatal cardiac events were more likely to have anti-anxiety (benzodiazepines) or antidepressants prescribed. In the group of patients that suffered from fatal heart attacks, these spouses had increased rates of depression and suicide as compared to control. This study highlights another aspect of post MI care that providers must consider–the care of the family and spouse. Attention must be paid to the individuals suffering alongside the affected heart attack patient. Grief and anxiety are common reactions to illness and death in a close family member. As providers we must be aware of the potentially serious negative impacts these intense emotions may have on those closest to the patient. Athough we are certainly charged with caring for the patient, we must remain aware of family needs as well. 2. Provide support: When speaking with the family, make sure that you are able to offer emotional support. Let them know that although you are clinically objective and working for the patient’s best interest, that you CARE. Empathy is critical. Make sure that you alert appropriate support staff such as clergy, social workers, and case managers to visit with families of critically ill patients. 3. Follow up and Process: Often when a spouse is lost to either a chronic or an acute illness or event, closure helps with emotional healing. I believe it is important to provide support to the family in the days or weeks following a death or major cardiovascular event. Schedule an appointment in the office to meet with the surviving spouse. If you suspect depression, anxiety or other emotional disturbances, contact that patient’s primary care provider and facilitate treatment. Grief can be a powerful negative influence in our overall health. Clearly, the trauma surrounding a heart attack or cardiovascular death can cause significant emotional upset. In some cases, as demonstrated by the European Heart Journal study, this upset can progress to significant anxiety, depression and even suicide. As caregivers, we cannot underestimate the impact that significant medical events have on spouses and families. We must strive to not only care for the patient experiencing the event but also attend to those who share the life journey with the patient as well. 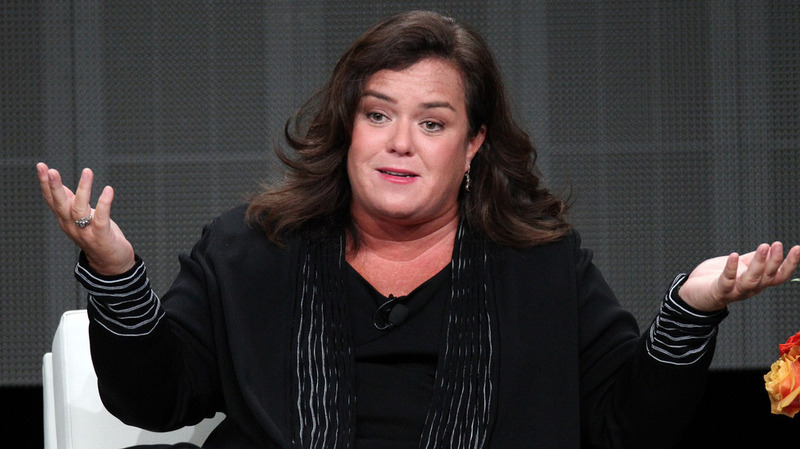 Recently, television personality Rosie O’Donnell was in the headlines after suffering a heart attack. Her presentation with an acute coronary syndrome (ACS) was atypical; her symptoms were different from the traditional symptoms seen in men having a heart attack. Earlier in the day of her event, Ms O’Donnell had helped a woman from her car. That evening she blogged that “a few hours later my body hurt, and that i had an ache in my chest. both my arms were sore. everything felt bruised.” Ms O’Donnell’s symptoms were persistent and she began to wonder if her symptoms might represent a heart attack. She decided to take an aspirin (a particularly good idea in her case) but continued to deny the symptoms until she consulted her physician the next day. She immediately underwent a cardiac catheterization and was found to have a 99% blockage of her left anterior descending artery (LAD). She had a stent (small metal tube to open the blocked artery) placed and is likely to recover completely. Her case highlights one of the biggest challenges in caring for women with cardiovascular disease–lack of recognition by clinicians and denial and delay by patients experiencing the symptoms. Women in the US today account for a large number of the nearly half million deaths from CV disease and Sudden Cardiac death. Yet, as I have discussed in previous blogs, women remain underdiagnosed and undertreated. The best way to impact disparities in care is through education and awareness. Traditionally, male heart attack victims present with crushing sub-sternal chest pain, shortness of breath, diaphoresis (sweating) and nausea. Sometimes the pain may radiate into the neck or jaw. Women and men are biologically quite different as we all know. There are distinct differences in the way cardiovascular disease develops, progresses and ultimately presents clinically. Certainly, women can present with classic symptoms. However, often women present quite atypically. Moreover, some diagnostic tests are less accurate in women as compared to me. Diagnosing both acute and indolent cardiovascular disease in women can be quite challenging.Women tend to take care of their children and spouse first, often ignoring their own healthcare needs for long periods of time. This may dismiss symptoms and carry on with their daily routines in order to avoid disrupting the family. Coronary artery disease in women tends to be more diffuse (more widespread) and involves more small vessel disease. Women also tend to present later than their male counterparts and often with more advanced disease. Some of this may be explained by hormonal and biologic differences. Symptoms in women may be quite vague and may include feelings of dread or anxiety, fatigue, or flu-like illness. These vague symptoms can make prompt diagnosis much more difficult. Women can also present with classic chest pain just as we described in men but often women deny the symptoms could be related to heart disease. 1. Educate women and providers of healthcare to women about the risk factors for cardiovascular disease. Make sure that every woman understands the signs and symptoms of heart attacks and how they may be different in female patients. 2. Actively screen at risk women for cardiovascular disease. Ask about risk factors such as hypertension, smoking, high cholesterol, diabetes and family history of CAD. Aggressively evaluate women with multiple risk factors even in the absence of classic symptoms. Make sure that female patients understand what the risk factors are how they can modify those risks. 3. Empower women to take control of their own healthcare. Actively engage women in the prevention of disease. Make sure women understand that they must act quickly when symptoms occur. Denial of symptoms and delay in treatment most often results in much poorer outcomes. Rosie O’Donnell was fortunate. She had symptoms consistent with a heart attack (although somewhat atypical). For a little while she denied the symptoms but ultimately took an aspirin and sought care. Luckily, she was able to get to a hospital and have a procedure done to open a blocked coronary artery before significant heart damage was done. We must all learn from this case and educate our friends, families and colleagues on the risks of cardiovascular disease in women. Through education, awareness and advocacy we can make a difference and reduce cardiovascular deaths in women. Smartphones are commonplace. Nearly half (49.7%) of all US mobile phone subscribers now have smartphones according to Nielson in February 2012. These phones are powerful computers that are able to manage large amounts of data easily. Applications are commonplace and new software is developed everyday. Recently, many applications have been developed to help patients manage their own healthcare. Although there are many regulatory challenges that are created by the use of mass market medical smartphone applications, the benefits to patients can be enormous. Moreover, if simple, low-cost software programs can help patients better manage their disease at home and avoid costly hospital admissions and ER visits, the financial impact on the struggling US healthcare system could be substantial. This week in the New York Times, Joshua Brustein penned an article describing a new smartphone application designed to help diabetic patients manage their disease. The article addresses some of the challenges in medical application “prescriptions” and explores the regulatory and FDA related issues surrounding medical applications. Certainly as Mr Brustein mentions, an application designed for patient care and disease management must be “bug free”. In a previous New York Times article from June, 2012, Julie Weed describes the benefits of medical smartphone applications for travellers who need to remain on a medication schedule through different time zones, manage diabetes or hypertension. Dr Eric Topol in his book “The Creative Destruction of Medicine” describes a world where smartphones and other technology will allow people to take control of their own healthcare–eliminating traditional doctor visits and potential hospitalizations for testing. Certainly, technology has significantly improved medical care through the years. 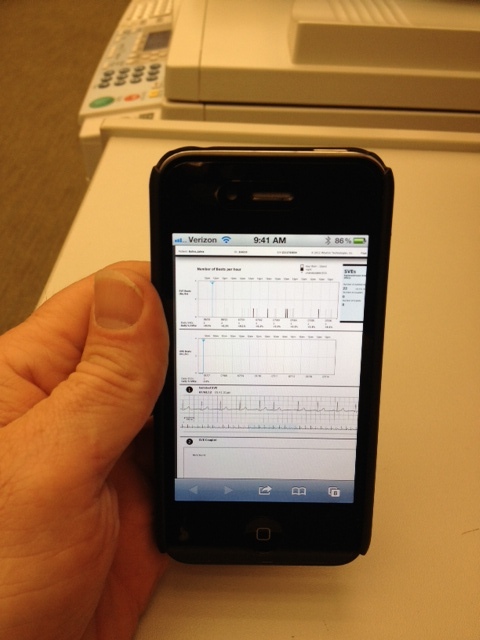 l believe that there is a huge upside to smartphone applications in medical care. Increasingly, physicians are under pressure to see more patients in less time. As more data is made available to both physician and patient, the task of properly evaluating the patient and managing the data and ultimately the patient’s presenting complaint and chronic disease in the office becomes even more daunting. Smartphones have the capability of collecting and organizing data that can be of use to both patient and physician. Simple tasks like tracking medication use and compliance, monitoring blood pressure or blood sugars can improve a provider’s ability to effectively and efficiently manage a chronic disease. Furthermore, having a patient input or transfer data to and from their smartphone engages the patient in their own care–thus improving outcomes. 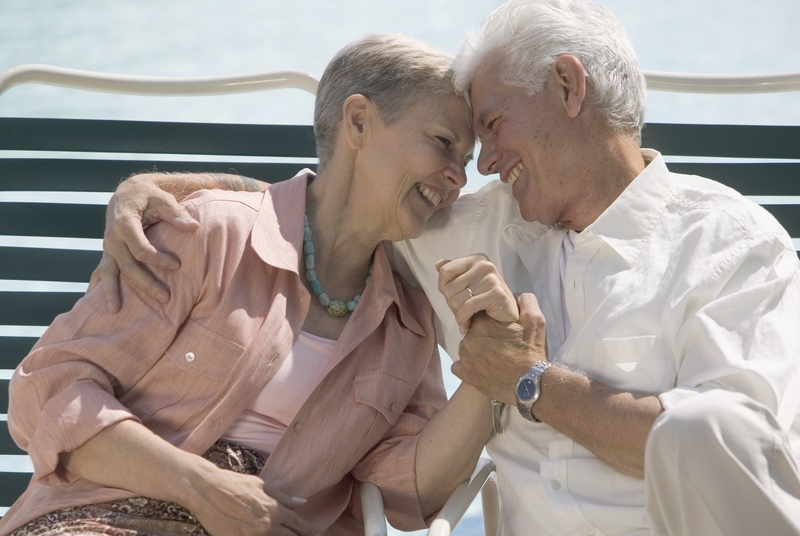 We know that patient engagement in care is critical to successful disease management. Healthcare costs continue to rise in the US today. Many efforts are underway to decrease cost, eliminate waste, and identify and prosecute fraud. Technology such as smartphone medical applications have the ability to impact these skyrocketing costs. If, for example, a patient with diabetes is able to track changes or patterns in blood sugar levels and correlate them with particular behaviors, a phone call or electronic communication with his or her physician may prevent a hospital admission or clinic visit. As Mr Brustein mentions in his article, the total cost for treating diabetes in 2007 alone was $174 billion dollars. Imagine the cost savings that early detection of complications and acute events may have. Moreover, imagine the impact that such technology could have on each individual patient’s life. To me, using smartphones to manage medical data and impact disease is more than an exciting science fiction story; this technology is reality. As a society, we have embraced smartphone use in nearly every aspect of our daily lives. Now is the time for physicians, patients and the government regulatory leaders to act. Lets take advantage of what technology has to offer and provide patients and physicians with the tools they need to expedite care and improve outcomes. I recently blogged about the stress that often accompanies the practice of medicine. Although I mentioned several behaviors to avoid, I realized that I didn’t really provide any proper suggestions for managing the daily stressors that all of us feel (no matter what our occupation may be). Patients, in particular, deal with high levels of stress. These stressors are numerous and may include financial, health-related, job and family/relationship related. Cardiovascular illness can certainly be exacerbated by emotional stress. Stress raises levels of catecholamines and other stress hormones are also released. This “high stress” biochemical state can precipitate acute cardiovascular events in susceptible patients. As I was researching the previous blog I came across a lot studies that examined stress reduction techniques. The strategies were quite varied; some simple while others were complicated and elaborate. As I poured through tons of research papers (some good and some not so good), I asked myself, “What is a strategy that almost anyone in the world can utilize to manage their own stressors?” I became particularly interested in those that evaluated both breathing techniques and yoga for stress reduction. I am a scientist at heart. I typically recommend therapies to my patients that have been well studied and typically evaluated in randomized controlled clinical trials. However, the management of anxiety, stress and the like is not as easily evaluated as a new drug for the treatment of congestive heart failure. Individual emotions, personal differences in perception of anxiety and stress, and environmental factors make these subjects difficult to study. 1. Practice Deep Breathing Meditation: Find a quiet place and sit comfortably with your back straight. Place one hand on your abdomen and one hand on your chest. Practice breathing deeply and slowly from your abdomen. Breathe in through your nose. The hand on the abdomen should rise and the hand on the chest should remain still. 2. 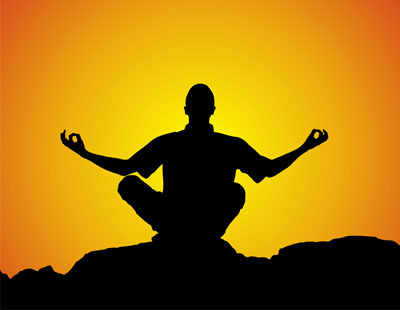 Visualize: Practice deep breathing in a quiet place. Visualize relaxation coming into your body with every breath and stress leaving with every exhalation. Focus on the moment. Try not to think about the day or what is to come in the future. 3. Practice “mini-meditation”: Sit in a comfortable, quiet place without distraction. Close your eyes and try to clear your mind (this is the hard part). Stay unattached to thoughts of any kind. As thoughts enter your consciousness, let them go. As you learn to meditate, the periods between the intrusion of thoughts will become longer and longer. Meditation is difficult and takes practice. Start with shorter sessions (5 minutes) and work up to longer ones. Stress affects all of us in a negative way. We must learn to manage our stress in order to become more successful in our daily lives. The benefits of breathing, meditation and basic yoga principles are that they are all readily available and require no specific equipment. Most importantly, these activities are free and can be done almost anywhere. Certainly, if you want to learn and focus on more yoga, classes in a yoga studio or gym may be beneficial. However, for relief of daily stress, simple breathing exercises, visualization and meditation may be just what the doctor ordered. Let’s face it, the practice of medicine today is fraught with stress. Physicians are not only expected to make critical decisions concerning the health and well being of their patients but are also needed to make real CEO-level business decisions every day. Healthcare systems are purchasing practices and assimilating doctors like the Borg from the Star Trekseries. More and more is being asked of providers with a concomitant reduction in reimbursement. Physicians are also people, with families–spouses and children, homes and pets. Often the stress of work brings unrest to the home as well. In order to provide excellent care to our patients it is imperative that physicians are able to develop strategies to manage stress at work and at home.Many physicians are trained in residency and fellowship programs that include a military-like hierarchy; responsibility at every level and accountability at the top for all actions below. This environment creates stressful situations and interactions and forms the foundation upon which many exceptional careers are built. However, at no time during my training did I receive mentoring in stress management nor did I ever feel emotionally supported. The long hours of residency are not the problem. The lack of support is. Medical education today needs to provide more of a focus on training the “whole physician”; not only training the hands and mind of young doctors but training their hearts. Stress is a natural part of medicine and medical training. What makes physicians more effective is how they deal with these daily pressures. Many physicians in training are also beginning married life and starting to have families. We have all heard the stories of divorce during residency. In fact, some surgical programs of actually unofficially boast about a 110% divorce rate (implying more than one failed marriage in their trainees). All new marriages can be challenging but additional pressures are felt by those in training– financial burdens of student loans, lack of quality time together and sleep deprivation. Families are an integral support group for physicians in training. In my experience, one of the reasons I made it through my fellowship training was the relationship I had with my wife. 2. Schedule “dates”. Even though trainees are often on call as frequently as every 3rd night in some programs, it is very important to schedule a date with your significant other. It may be as simple as a trip for coffee, ice cream or dinner and a movie. Get a babysitter if you have kids and do this at least once a month. 3. 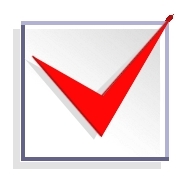 Make daily “3 Minute Check Ins”. Every day, no matter how busy you may be, take 3 mins to send a text, make a quick phone call, or send an email to your significant other. It makes such a difference to the person on the other end to know that even though you may be incredibly busy, there is always time to check in. 4. Leave work at work. Hang your work related problems on a hat rack. Although it is important to share frustrations and process challenges at work with your spouse or significant other, it is imperative that you do not project work related anger and frustration toward your family. 5. Ask for help. Medicine breeds independence and self reliance. Often asking for help is seen as a sign of weakness in training. However, we must all learn to rely on others to help us process difficult emotions. Many training programs and hospitals provide Physician Self Referral counselling and these should be taken advantage of during difficult times. Medical education is vital to training the physicians of tomorrow. In the US today, we are able to train some of the most successful and talented doctors in the world. However, this training can be stressful and this stress may continue through years of practice. We must learn to manage work related stress in more productive ways. Habits die hard and many negative habits are learned in training. It is my hope that residency training programs will continue to make advances in supporting the emotional needs of trainees. Helping young physicians manage family life, demanding work schedules and stress will allow us to produce a new breed of doctors who are more equipped to avoid burnout. By helping physicians manage stress and develop positive coping mechanisms, we will be better able to care for our patients in the years to come.